Many people believe that having straight teeth is simply a cosmetic concern that most celebrities obsess over. While this may very well be the case in American cultural norms — a belief that beautiful people should have beautiful teeth — there’s much more to straight teeth than aesthetics. 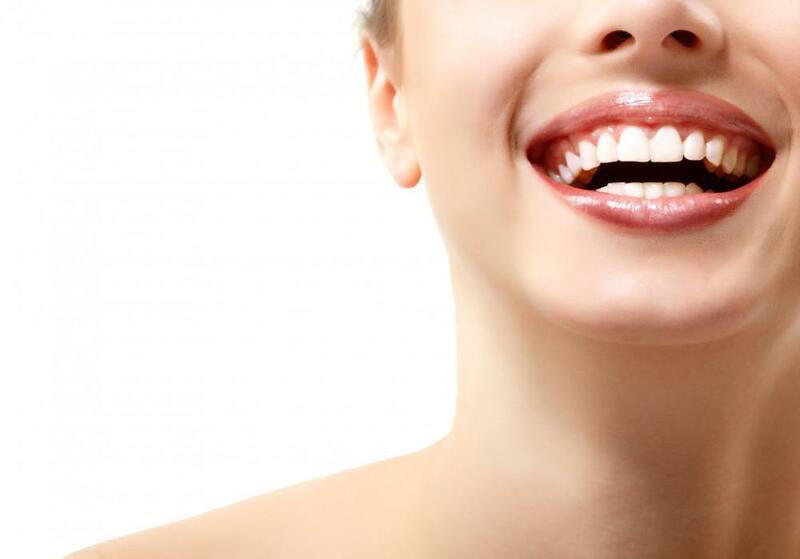 You may not realize it, but straight teeth may actually help you become healthier overall. At Millennium Park Orthodontics, we’re serious about straight teeth. Acclaimed orthodontist Dr. Howard Spector has helped well-known models, local political leaders, and Academy Award winners improve their smiles, and he can help you, too. Read on to learn why straight teeth are important to your oral health. Think about it: How easy is it to brush and floss overlapping or crooked teeth? When your teeth are straight and properly aligned, they’re easier to clean now, which prevents decay and dental problems in the future. This philosophy is true for both children and adults. Crooked teeth at any age make it more challenging to maintain good oral hygiene. When you’re unable to thoroughly clean the surface of your teeth or floss between them, it can lead to cavities and periodontal (gum) disease. Decayed teeth often have to be extracted and replaced, leading to costly dental work. Braces are a proactive way to get properly aligned teeth and to ensure your best chances for excellent oral health and a fresh, clean mouth. According to the Mayo Clinic, oral health is a “window to your overall health.” Most people are unaware of the connection between oral health and overall health, but it’s a significant one. Even a healthy mouth contains bacteria, but daily brushing and flossing keeps bacteria under control. When the bacteria in your mouth run rampant, as is often the case in areas of overlapping or overcrowded teeth, it can lead to excessive plaque buildup along your gums. Over time, this plaque can lead to gingivitis, an early stage of periodontitis — a severe gum disease. Bacteria along your gums can also cause inflammation and may play a role in certain systemic diseases like diabetes and a weakened immune system. Adopting a good oral health routine and making an investment for straighter teeth is essentially an investment in your overall health and well-being — not to mention the numerous aesthetic bonuses that come with having a straight, beautiful, healthy smile. Braces are for teenagers, right? Not anymore. 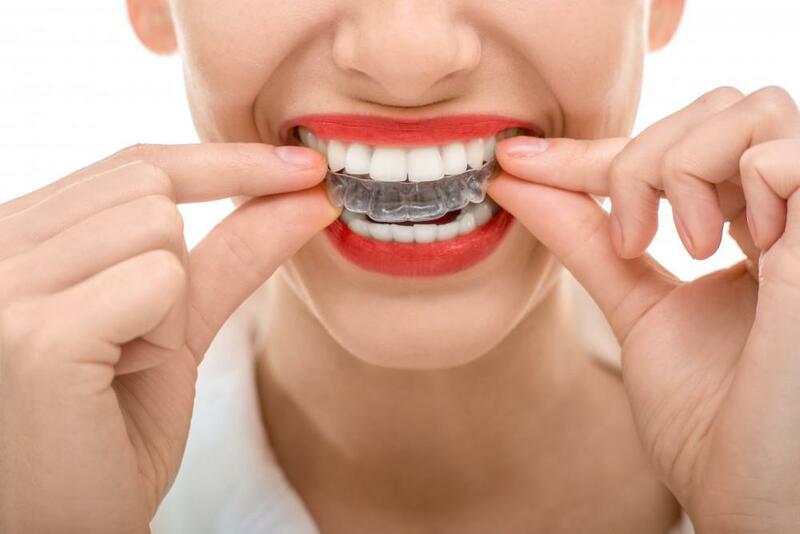 With the advances in orthodontics over the last few decades, nearly anyone can get straighter, correctly aligned teeth without the hassle of metal braces. At Millennium Park Orthodontics, we offer braces for every patient — from the young to the young-at-heart. One alternative to traditional metal braces is the Invisalign® system. 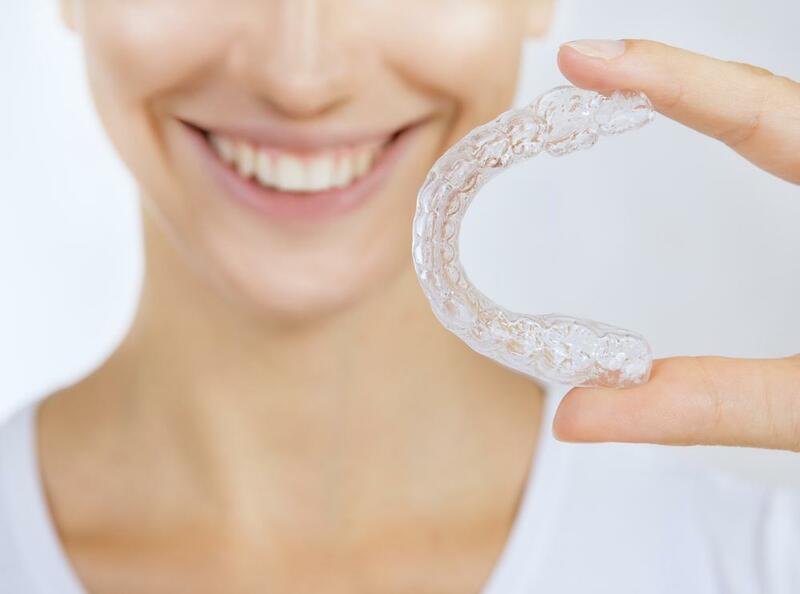 Invisalign clear aligners are practically invisible, yet highly effective at straightening your teeth. 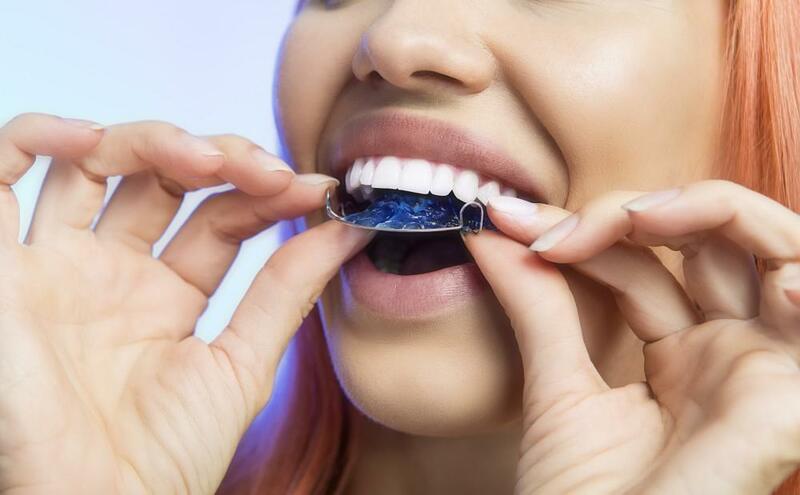 Through a series of custom-made plastic trays that fit snugly in your mouth, your teeth gradually shift into a straighter position. You can take the aligners out to brush your teeth and eat, making them extremely convenient for adults and teens. Another option is clear, ceramic braces. Unlike the traditional metal brackets, ceramic brackets are clear, so they’re much less noticeable than silver-tone metal braces. You can even get tooth-colored wires instead of silver for the least noticeable appearance. Regardless of which orthodontic option you choose, the goal is the same: to have straighter teeth, less difficulty keeping them clean, and improved oral health and overall wellness. If you’ve been putting off necessary orthodontic treatment because the thought of wearing braces is unappealing, think again. Consider how your oral health affects your body as a whole, and if you want to get healthier this year, straighter teeth may be just the place to begin. Call our Chicago office to schedule a consultation today. 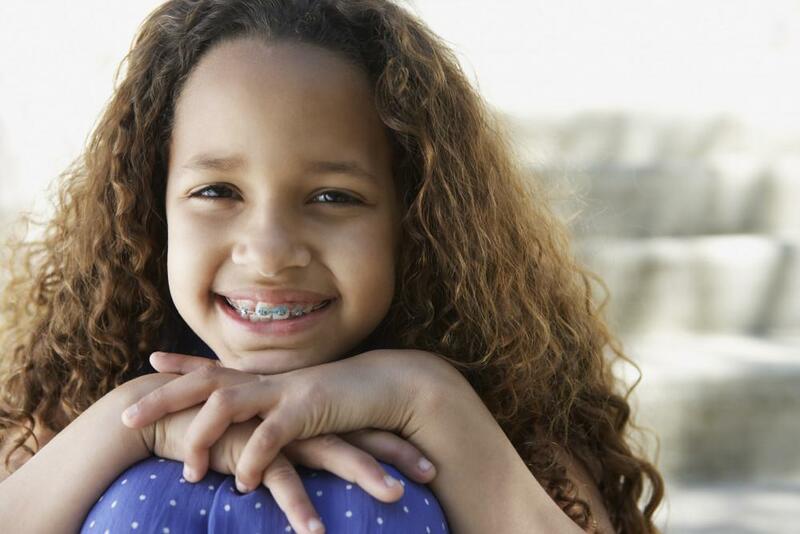 Most people think of the teen years as being the best time for orthodontic treatment, but actually, your child should begin care much earlier. Here's why.